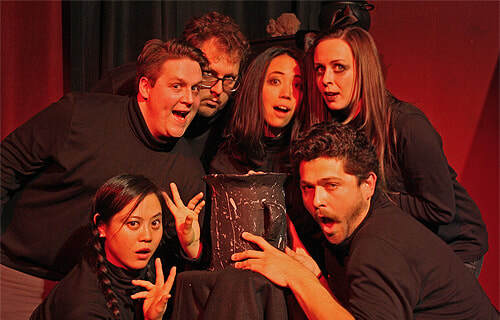 ​The Nightmare Society was created and directed by Margaret Erickson, and debuted on the Jet City Improv stage in October 2017. Jet City Improv was created in 1992 by Mike Christensen and Andrew McMasters. Over the past 25 years, it has produced over 100 long-form shows, over 3000 performances of its hit short-form improv show, and over 600 performances of its hit movie re-dubbing show Twisted Flicks. The Nightmare Society features Isaac Chamberlain, Eli Zavatsky, Greg Gerbus, Joe Viscia, Kayla Teel, Krstine Ota & Randy Miller.